Best Way to Search Hotel Room for BedBugs -Including that ‘Upscale Boutique’ Hotel Room. “They’re [BedBugs] Everywhere” According to University of Maine Video. 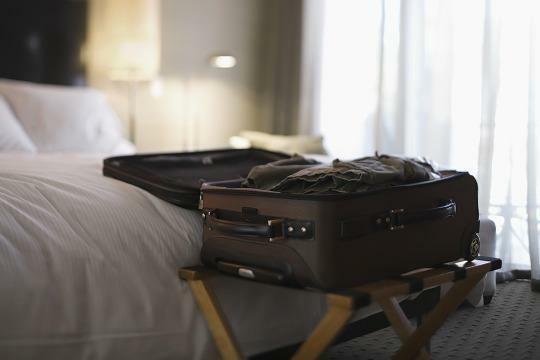 Cindy Mannes, vice president of public affairs for the National Pest Management Association, also says you could leave your bags at the door when you first check in: “Just don’t unpack anything until you’ve checked for bedbugs,” she told Yahoo Travel. Bedbugs don’t stray far from the bed — as Dill says, their range is about 20 feet away from their host — but they’re sneaky and can play hide-and-seek better than any 5-year-old. They’re also small and flat (when they haven’t fed): The reddish-brown adults are about the size of an apple seed, and the white eggs are the size of a pinhead. So look closely. Take a flashlight (if you have a smartphone, it probably has one) and get a good look at the headboard, which is a common hiding spot, and don’t forget to look in the creases. “Many people overlook the headboard because it can be difficult to remove from the wall to examine it,” Louis N. Sorkin, BCE, a consulting entomologist with Entsult Associates, told Yahoo Travel. The crevices of a mattress’s piping make for a great bedbug hideout, so take off the sheets and look closely at the top and bottom parts. We know, this isn’t the most romantic way to begin a hotel stay, but other than seeing the bugs themselves, this is the best giveaway of whether any bedbugs have been feeding recently. The bloodstains will be red, and the bugs’ poop will look like tiny black specks. These make for another nice, dark hiding spot for bedbugs. 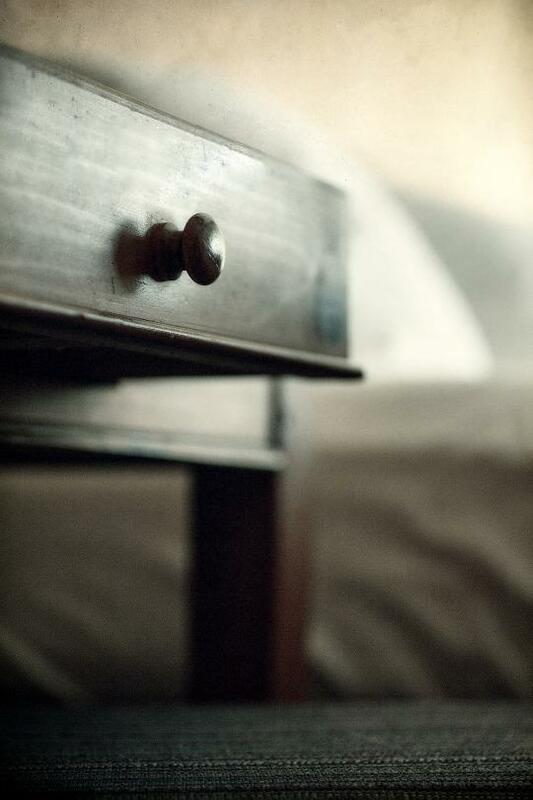 Don’t just look on the corners of the inside — to be really thorough, take the drawers out from the nightstand and look under them too. This could include the aforementioned luggage rack, bed frame, picture frames, and anything else within a few feet of the bed. What if, gasp, you find bedbugs when you check in? What a typical bedbug looks like. I’ll share a semi-embarrassing story: Last year I stayed at a boutique hotel in British Columbia, and minutes after checking in I saw some apple-seed-size, orange-brown bugs on the window and the windowsill. So I did what any sane person would do: I freaked out, zipped up the bags I had placed on the floor, and ran down to the front desk. To the hotel’s credit, the guy working there immediately came up to my room to check on the problem. Which, it turns out, was no problem — they were just a species of ladybug I’d never seen (Canadians!). But he examined the mattress and the room just to be sure. Provided what you found are in fact bedbugs, notify the front desk immediately. It’s probably OK to ask for another room in the hotel, but make sure it’s not next door or right above or below (and check that room thoroughly too). 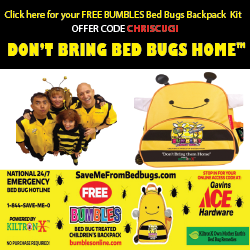 What if, double gasp, you wake up the next morning with bedbugs? This is the scarier scenario, because you don’t know where the bugs might be in your stuff, and you must make sure they don’t leave with you. Since the hotel is going to owe you one, insist that it launder your clothes immediately. 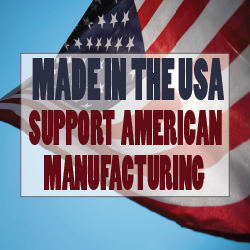 And washing them isn’t enough: Mannes of the NPMA advises putting all fabric in a hot dryer for at least 30 minutes and steaming your luggage. To be extra safe, before returning home place all your garments in a vacuum-sealed bag and dry them again. 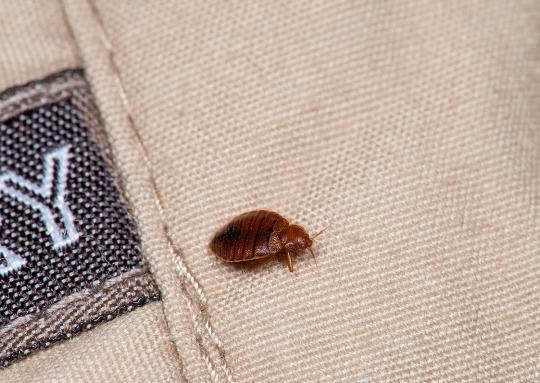 Bonus question: Could bedbugs hide on your pets? Both Mannes and Sorkin said this is an unlikely scenario, but Sorkin added that it’s not impossible. So just to be safe, give Checkers a good look before you check out. Bonus question No. 2: How can I research if a hotel has bedbugs? There are some websites where anonymous guests can report bedbug infestations at certain hotels, such as BedBugs.net and the Bedbug Registry. But there’s no way to be sure if the reports are accurate, and ultimately no hotel is 100 percent safe from bedbugs because of how easily they stow away with guests. Your best bet is to examine the room yourself.